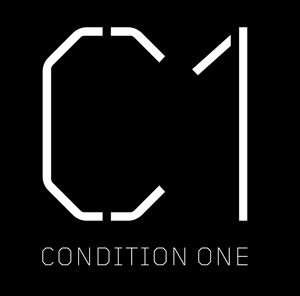 Condition One is a New York Techstars graduate that closed a $2.35 million dollar round back in October, led by Mark Cuban. Academy award nominated photographer and videographer [Danfung Dennis]has seen his work in Newsweek and the New York Times. He’s been hailed for shooting some of the best war footage ever seen. That’s in part because Dennis has found a new way to capture more of what we see in video. Humans actually see a wide range of things in their peripheral vision and then adjust based on what’s interesting in their range of vision. Video isn’t that way. Video can actually see what’s shot straight on, but then, because of the way us humans see, it doesn’t feel as natural. Dennis has created Condition One to capture and share things that typical video misses and includes a 180 field of vision. Condition One is software that takes that warped 180 degree footage shot with a fisheye lens and then translates it back into a clear flat image that we see. It’s somewhat like the Lytro that lets you shoot out of focus photos now and focuses them in later. Even with Shark Tank, people know that Mark Cuban isn’t typically an investor at seed stages of the game. However, in addition to the Maverick’s Cuban’s other large business is HDTV which was just rebranded as AXS TV. This is where Condition One makes a lot of sense. Cuban’s AXS TV is known for it’s live concerts and events. Condition One’s technology is perfect for capturing events and putting them into a better viewing perspective. Nibletz co-founder Nick Tippmann got to interview Condition One at Eureka Park as part of CES 2013 last month in Las Vegas. Jhoombox A Set Top Box That Sings! Washington DC startup Jhoombox has made the Android based set top box a lot more fun. In addition to doing the things that most set top boxes do, like provide access to Netflix, Hulu and a slew of other web based services, Jhoombox has a full featured Karaoke system as well. Jhoombox’s combination of hardware and software is like a Pandora for karaoke. Some of the features include the ability to record your karaoke sessions and quickly upload them to YouTube. You can also collaborate with other Jhoombox users on the net and sing duets and group songs over the internet. 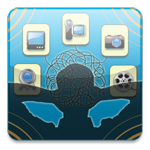 They came up with the idea because people love to do karaoke and a set top box is a way to bring all the content to one centralized location. Karaoke singers now have a library of hundreds of thousands of karaoke songs at their fingertips. The company has been working on Jhoombox for the last year and held a private beta in the fall of 2012. They plan on launching to the public, first with a Kickstarter campaign in the spring of this year. Los Angeles startup Styku has done something rather innovative utilizing the Microsoft Kinect platform. Using four Kinect sensors, Styku has created a way to do a full body scan and create an online fitting room. According to the company you can actually use just one Kinect at home but to get the most accurate measurements you can go to a retail partner that has their technology installed and have a body scan done. From there the magic happens. On the back end Styku takes the body scan and matches it to a stores inventory to show you exactly what sizes they recommend for you. In shopping for clothes, size can actually be a mystery. Women and men can go into one clothing store and have one size selected and a different store which has clothing cut a little smaller or a little bigger and have a totally different size recommendation. Styku combines the inventory and specifications from a stores entire inventory, with the exact measurements garnered from the body scan, to offer the exact fitting size. Check out the video interview below and for more info you can visit styku.com the smart fitting room. Adrenaline pumping, action sports videos have taken a new place in the active sportsmans life thanks to things like Go-Pro. You could spend months watching GoPro videos on YouTube. You’d see people climbing mountains, surfing big waves, ski-ing, ski jumping, sky diving and more. But even with the best technology, and all the best Go-Pro accessories, a barrel roll looks like a barrel roll on video. What if you wanted to capture more? What if you wanted to see how much you were actually rolling, or how high you had actually jumped? Well back in October you may remember Kara Swisher said that sensors would be all the rage in 2013, and they most certainly are. 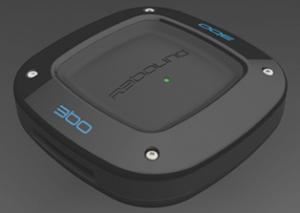 R360UND (Rebound) is a sensor technology that allows the use to take amazing readings while they’re participating in extreme sports. Whether it’s down hill skiing, sky diving, ski jumping, or any other fast paced adrenaline pumping activity, R360UND is the device that you need to compliment the awesome video you took with the GoPro. The R360UND device can attach to your helmet, snowboard, skis or whatever else you want to attach it to and it captures all the motion. The device can tell how high up you are, where you are, what motions you did and what actions your snowboard or skateboard did. You can then take that data and overlay it on your action video which helps tell a much clearer story of what you just did and it’s great for bragging too. Check out our co-founder Nick Tippmann’s video interview with Paul from R360UND below. Imagine a world where you could just walk right up to something and right before your very eyes in the open air was a display. No monitor, no projector, just a display in the air. 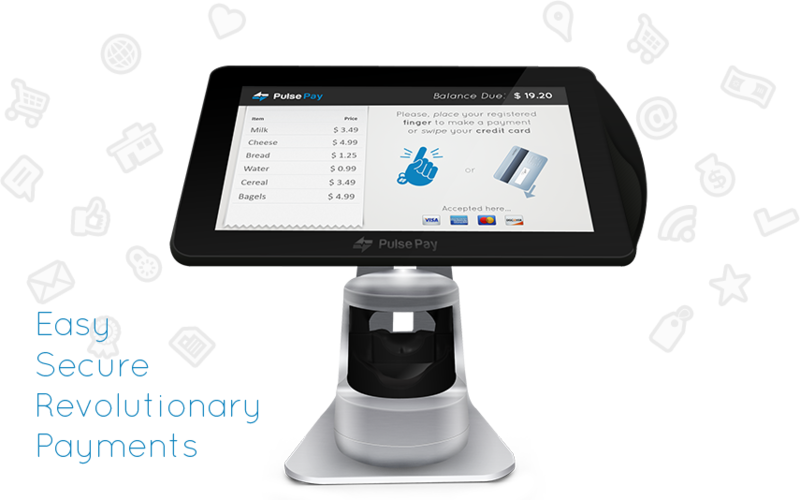 Now imagine if it was a multi-touch point display. You’re not far off from visualizing Russian startup Displairs, display technology. As you can see in the video with our co-founder Nick Tippmann, the Displair unit is showing the hit game Fruit Ninja right in the middle of the air. The best part is you can actually use your hands to slice the fruit right in the middle of the air. 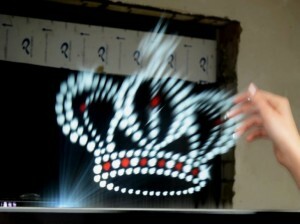 It’s like some awesome step into Kinect or Nintendo Wii-verse technology. The founders of this Russian startup see the potential in 4 dimensional game play. They also see the technologies potential in advertising and marketing. They had impressed some of the people from Coca Cola who stopped by their booth at CES’ Eureka Park last week. Displair could display virtual Coca Cola water falls and create interactive games far beyond any consumers wildest dreams. 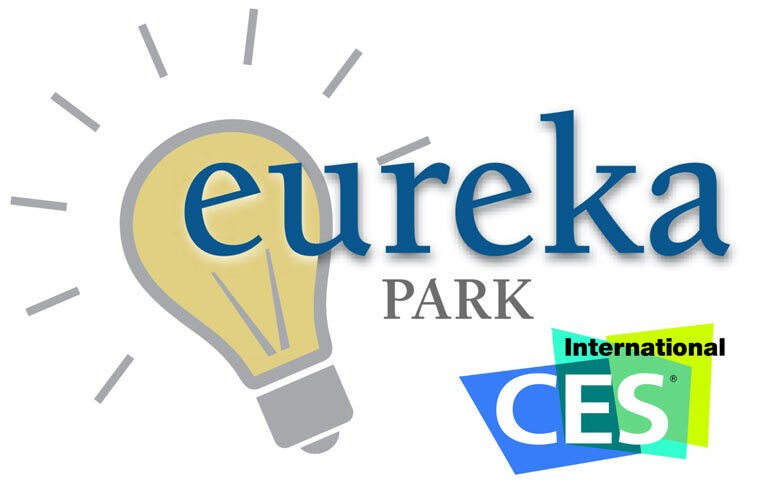 This is just the type of technology and startup that CEA was looking for when they set up Eureka Park last year. We saw some other wild tech this year as well like Tactus, a micro fluid technology that makes tactile keyboards just morph up from the screen of a smartphone or tablet device. Check out our video interview below with Displair. Join the over 2000 attendees who’ve purchased tickets to the largest startup conference in the U.S., everywhereelse.co The Startup Conference. A California startup called Simply Amplified has created a product that amplifies sound from your smartphone or music player without any moving parts, wires, batteries or electricity. In fact it takes the same principles for amplifying sound that you may find in a conch shell. The company has even designed some of their unique speakers to look just like shells. As you can see from the video below all you do to amplify the sound from your device is simply set it into the shell like frame and listen as the sound comes out the larger opening. All of the Simply Amplified speakers are designed to look fashionable on any table or shelf where they’ll pull double duty as wireless, non electric amplifiers and as conversation pieces. Simply Amplified calls their amplifiers Symphony Shells and we really haven’t seen a product quite like it. But what does it sound like? It was just as clear as some of the BlueTooth connected speakers we saw on the main show floor at the LVCC. Do you have your ticket for the largest startup conference in the U.S.? A startup in Florida called LivMobile is looking to simplify that second screen for anyone that wants to watch any kind of video from any source. They’re doing this with a web based browser app that turns the browser into the video playback source. We find out in the interview that the idea for LivMobile was born when their CEO was looking for a second way to view video. He was watching a football game and when they went to time out he wanted a second screen to know when the game was back. Nowadays second screens are common place. With all the different video apps out there, LivMobile hopes to cut through all the clutter and bring together all video in one easy to use HTML5 browser based product. The startup village at everywhereelse.co The Startup Conference has 135 startups in it, is yours? Millions of kids across the country and around the world suffer from Asthma. Fortunately, for many of them the Albuterol rescue inhaler helps them live mostly normal lives. The problem is that many kids either forget to take their inhaler or forget to tell their parents and loved ones that they used their inhaler. It’s actually pretty important to a parent to know when their kid couldn’t breathe. A Boston startup called GeckoCap is hoping to help kids get back into a regular habit of using their inhalers and telling their parents and loved ones when they do. Using the companies patent pending technology, a connected cap is placed on the top of the Albuterol cartridge on an inhaler. This cap has sensors, a transmitter and cool LED lights. The cap also keeps kids honest about their inhaler use and keeps a log of when it’s used and what the conditions at that time were. All of the data collected from the GeckoCap can then be distributed to a child’s pediatric team and their parents. Oh my nearly 2000 have bought tickets to the biggest startup conference in the country everywhereelse.co The Startup Conference. 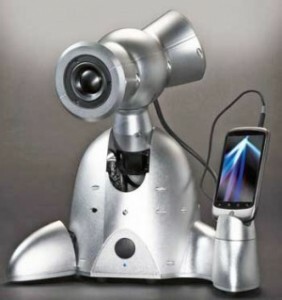 You’ve always wanted a dancing, djing companion robot for our iPhone right? Well if you did you’re in luck. A group of entrepreneurs hailing from Georgia Tech, IDC in Israel and MIT Media Lab formed a company called Tovbot and have now introduced their first product to the world, and it’s name is Shimi. Tovbot says they specialize in social, expressive, connected robots and Shimi definitely speaks to that mantra. “Shimi is a robotic musical companion. He’s like your personal DJ, the guy that knows how to keep a party going and always knows what you want to hear next” Tovbot says on their website. While companies have been trying to make robots interact with music for quite sometime it seems like Tovbot has really nailed that goal. The robot also doesn’t feel like some cheap piece of crap that’s going to have howling, treble filled speakers. The sound that comes out of Shimi is pleasant, although we didn’t get to hear it that loud.